It's 8:30am. You're ALMOST out the door for school when your little one picks up another toy to play. Play is the way little ones communicate to us. As a play therapist, I am trained to understand the what your little one is telling me through play. It's beautiful to see how they play exactly what they are experiencing in their life (like NOT wanting to go to school). Sometimes, there are imbalances in a little one's play, which can be a sign that there is some anxiety or discomfort. Bringing awareness to your little one's play may help you understand any anxieties or fears they may be facing in their lives. When you are aware of the anxieties and fears, you can tend to them with love and care! 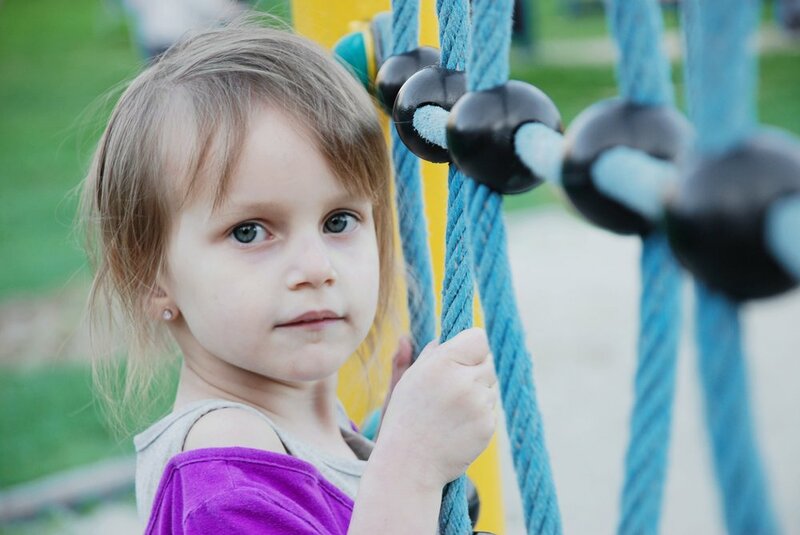 Here is a list of three ways that play may be different if your child is experiencing anxiety. Rigidity in play such as lining up toys or 'preparing to play' without actually playing are both signs that little ones are experiencing anxiety. Normally, a child's play is free, full of flow and creative imagination. When little ones line up toys or set up with no play, generally it's communicating that the child needs some form of control in their life. Children naturally tend towards exploring within all different areas of play. Nurturing play may look like playing with dolls (even for boys!) or playing in the kitchen to make dinner. Aggressive play may look like having sword fights or slaying dragons. Having ALL of the different types of play is so important for your little one. If you're finding that your little one stays in one area of play a lot, such as aggressive play or anxious play, it may be a sign that they have anxieties exploring outside their comfort zone. From ages three to around eleven, children enter the world of pretend play. Pretend play comes from the right side of our brains, which is the area of emotional connection and creativity. Pretend play is a vital part of a child's development in those areas of creativity and emotional connection. Lack of pretend play may indicate that little ones are in their 'thinking brain' more than their 'emotion brain' which can be a result of anxiety. Although these are clear signs, each little one is different in their own expression of their worries. Your little one will often flow in and out of anxious play throughout their lives, as they attempt to navigate the frustrations of learning new tasks as they get older. Bringing awareness to when your child may be having some anxiety allows you to tend to what they need in that moment. Here are three tips to help your little one navigate life's natural struggles in moments of play. If your child is in pretend play and you're noticing an imbalance or rigidity, keep the play in pretend. Get down on their level (wherever they are) and play in pretend with them. If they are acting like a superhero, play the role of another superhero and tell them how brave they are for facing their fears. If they are searching after a 'bad guy' to conquer, jump on their team to help them conquer him. Staying in pretend with your child communicates to them that you can speak their language and that you are with them in their fears. If you're noticing any rigidity in their play, asking your child about their worries will allow them to feel safe in telling you how they're scared. Validating their fears and telling them that you are not scared allow them to feel safe and understood with you. Opening a conversation by simply asking, "What are some things that scare you?" will give them the space to open up totally! I hear you feel scared. Even when you're worried, I know how brave you are. Saying encouraging phrases allows your little one to know that you are there for them unconditionally. Having your support will allow them to move through fears more easily to become a brave little one! Sending bravery to you and your little ones!